NordVPN is currently one of the best VPNs on the market with very strict zero-log policy. It offers many advanced features like kill switch, double VPN, DNS leak protection and others. You can connect to 62 different countries, but unfortunately, you can't choose a city. List price is quite high ($12.95), but there are a lot of discount coupons available and you can get a decent discount around 70%. There is also a free 3-day trial. As its name suggests, NordVPN is from Northern Europe (Nordics). We can only assume from which country exactly, but our guess is Norway (because it used to be the only Nordic language on their website). The product was launched only in 2012 by four friends and claims to be serving over 1 million users worldwide. As the majority of the other VPN products, NordVPN is developing only a single product which is available on many platforms. These start with Windows, macOS, Android, and iOS, but also include minor ones like Windows Phone, Chrome OS, Linux (via standalone app released in August 2018), and RaspberryPi. Besides the operating systems, it’s also available for the majority of routers. From June 2018 NordVPN also supports Android TVs. NordVPN is well known for its great variety of features. While AES 256-bit encryption is nothing uncommon, the unique technology called CyberSec protects you from malicious websites (sort of an antivirus) and blocks ads (sort of an ad blocker). Double VPN technology makes you even more invisible by using two different VPN servers. Other advanced features include Kill Switch, DNS leak protection, and SmartPlay for smooth streaming. See the detailed features overview at the end of our review. As you can guess, all these will be a bit pricey, but only if you buy a monthly subscription. The 1-month plan costs $11.95, 1-year $69.00, and 2-year $79.00 — which is only $3.29 per month or a saving of 72%. There is also a free 3-day trial which is great if you would like to test the product before buying. Overall NordVPN is really advanced yet easy to use VPN solution. If you decide to buy the 2-year subscription the price you will pay is actually really low. It is definitely one of our overall favorite picks. As we mentioned you can try NordVPN completely for free for 3 days. No credit card is required, you just need to register with your e-mail and create an account. Once you register your account will be activated and eligible for a 3-day trial. After 3 days you need purchase a full license, or you can create a new account with a different e-mail. Pricing & Discounts – How much does NordVPN cost? If you decide to invest in a full license, we recommend going with the 2-year plan on which you currently get 72% off. That means you will pay $79.00 which is only $3.29 per month. It’s totally worth it, and for the price of six monthly subscriptions you will get basically twenty-four – great deal! If the deal on a 2-year plan is no longer available on the official website, try the coupon code “2YDEAL2017” during the checkout. If 2 years is too long for you, we also have a discount coupon for a 1-year plan. 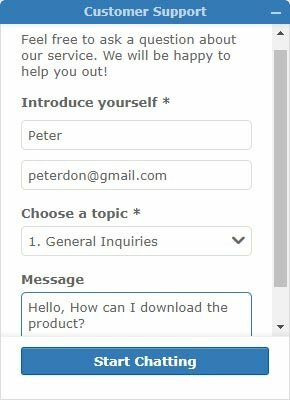 Go to the NordVPN site, select 1-year plan, select your payment method, and enter coupon “GETNORDVPN“. It should give you 67% off, which comes to $48.00 or $4.00 per month. Again, a great deal. And that’s not all, there is also a secret coupon for a 3-year deal which will give you the best monthly price of only $2.75 per month. Simply go to the checkout and enter coupon “3YDEAL“. If you are for any reason not happy with the product, you can return it within 30 days and receive the full amount back thanks to the 30-day money-back guarantee. 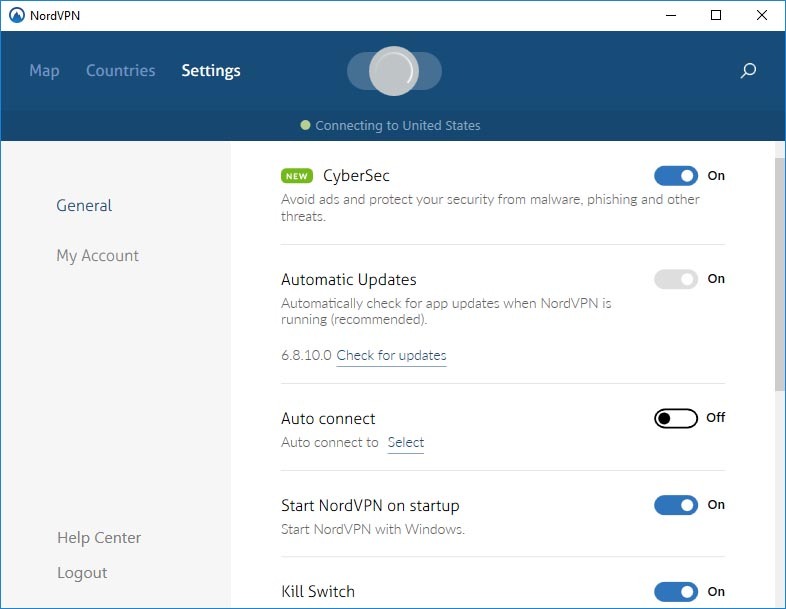 User Interface – Is NordVPN easy to use? 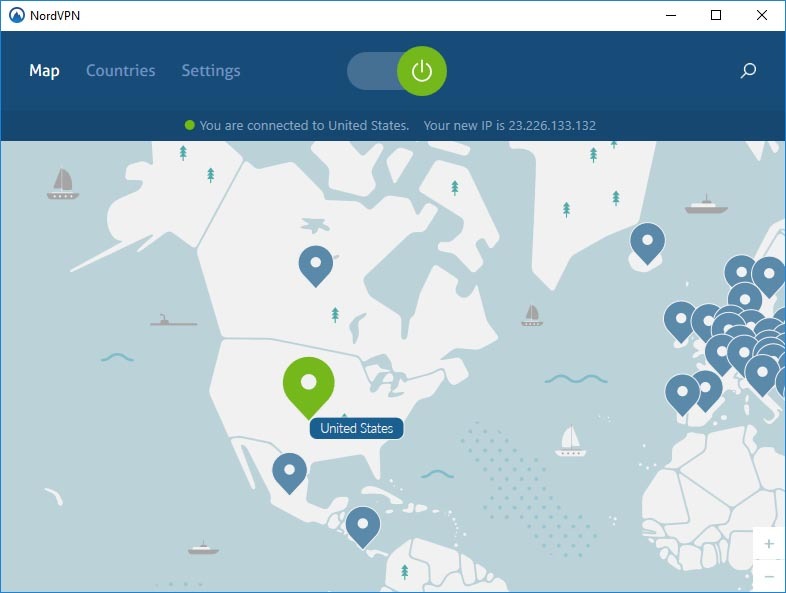 Although NordVPN offers a lot of geeky features, it is actually pretty easy to use. When you launch the app you will see a map with pins which marks the server locations in each of the 62 countries. At the top of the user interface, there is a big switch which obviously connects you to a VPN server. By default, it chooses the closest one to your actual location, but you can, of course, pick any country from the map. However we have found a small user experience issue related to the switch – if you click on the grey (not active) part you would expect it to move the button to this position, but it does nothing. Another issue is the fact you can’t actually select a city through which you would like to connect, you can only select a country. And you even don’t know to which city you are connected. What is great are the settings. You can customize so many things and if that’s not enough, you can click on “show advanced settings” and you will get even more. In total there are 13 different settings (switchers) for various features. You can choose a protocol, customize DNS, enable kill switch, and so much more. 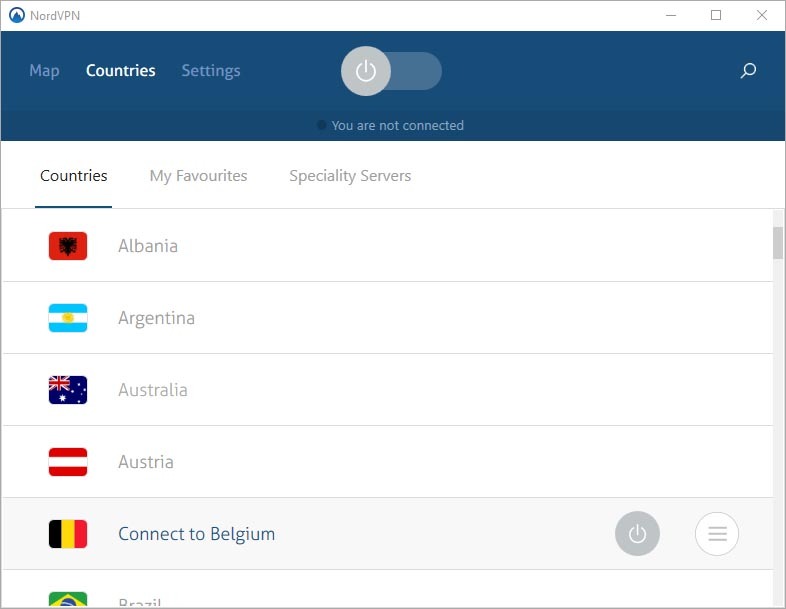 NordVPN offers more than 4.200 servers located in 62 countries. Azerbaijan, Bosnia and Hercegovina, Macedonia, and United Arab Emirates have been added in May 2018. It’s not the top, but definitely way more than the market average. Most of the servers support P2P connections. Major countries have the full package which includes P2P, Double VPN, dedicated IP, Anti DDoS, and obfuscated server. Unfortunately, it’s not possible to select a specific city to connect to. In fact, you don’t even know in which city the server is located once you are connected. Does NordVPN Support YouTube, Netflix, Hulu, HBO GO, Amazon Prime, & BBC iPlayer? During our testing, NordVPN worked well with YouTube, Netflix, Hulu, HBO GO, Amazon Prime, Google, and Facebook. We have used various US servers. However, it didn’t work with BBC iPlayer which requires a UK location. It is interesting that the site thought we were not in the United Kingdom. It looks like BBC iPlayer is automatically blocking all VPN accesses. Upload speeds were kind of OK, with the only exception being Australia where we got only 2.25 Mbps. They claim to have a response time of up to 48 hours, which is not super fast but still OK. Besides these direct channels, you can also take advantage of FAQs and Tutorials. NordVPN has a strict no-logs policy which is heavily communicated throughout their website. They claim that since you connect to their VPN server your Internet data is encrypted and any online traffic from your device is no longer visible to your ISP, third-party snoopers, or cybercriminals. To strengthen this, and so they are able to refuse any government questions, they are actually based in Panama which does not require data storage or reporting and makes them able to deny any third party requests. They pretty much log only the standard type of information like your customer data (username, password, e-mail, payment data), server performance, and inquiries through customer support channels (if you make any). But of course, they will terminate your account if they find you involved in any cyber criminality. 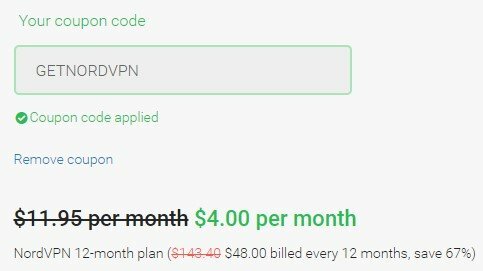 Conclusion – Is NordVPN worth $11.95 per month? We really like NordVPN and it’s unique user interface — it is definitely one of the best VPNs on the market. If you are able to take advantage of all their advanced features, it is the right product for you. It’s not as pricey as ExpressVPN (actually $1.00 per month cheaper) and offers slightly more. Probably the only disadvantage is the lack of ability to select a specific city (you can only select the country). If you are not sure if NordVPN is the right choice for you, just give it a try and download their 3-day trial.